Consider These Income Tax Strategies | ALMEA Insurance, Inc.
Sell Stocks with losses to offset capital gains. If you have capital gains income but are holding stocks with losses, consider selling those stocks to offset the capital gains. Excess losses may be used to offset up to $3,000 of ordinary income, and the unused portion can be carried forward until utilized. Contribute the maximum amount to your 401(k) plan. Make sure you are contributing as much as possible to your 401(k) plan. Unless you have a Roth 401(k), contributions are made from pre-tax dollars. The maximum contribution to a 401(k) plan in 2013 is $17,500, plus individuals age 50 and over can make an additional catch-up contribution of $5,500, if permitted by the plan. Decide which type of IRA to contribute to and then do so as soon as possible. Decide whether you should contribute to a traditional deductible or Roth IRA. Although you have until April 15, 2014, to make you 2013 contribution, contribute as soon as possible to allow your funds to compound tax deferred or tax free for a longer time. The maximum IRA contribution in 2013 is $5,500, with an additional $1,000 catch-up contribution for individuals age 50 or older. Replace loans that generate personal interest with mortgage loans or home-equity loans. Personal interest cannot be deducted on your tax return, while mortgage interest and home-equity loan interest can, as long as the mortgage does not exceed $1,000,000, and the home-equity loan does not exceed $1,000,000. Determine whether you should bunch income or expenses for 2013. Depending on your overall tax situation, it may make sense to accelerate or defer income and expenses. Some deductions that can be accelerated or deferred include payment of property taxes, estimated state taxes, medical expenses, and charitable contributions. Income that can typically be deferred includes self-employment income and year-end bonuses or commissions. Donate appreciated stock held over a year to a charitable organization. You can deduct the stock’s fair market value as a charitable contribution without paying the capital gains tax. Sell assets on the installment basis. You can use this method to sell certain capital assets, particularly real estate, which will typically allow you to recognize the gain as the installments are collected rather than in total in the year of sale. You may also want to consider a like-kind, or section 1031, exchange, which allows you to defer any tax. Consider transferring appreciated assets to children. If the children are in the 10% or 15% tax bracket, they can sell the asset and pay no capital gains taxes as long as the sale does not push the taxpayer into a higher tax bracket. These transfers can be made as part of your annual tax-free gifts, with a maximum tax-free transfer of $14,000 in 2013 ($28,000 if the gift is split with your spouse). However, be aware of the “kiddie tax” rules, which apply to all children under age 19 and to students under age 24. If the earned income of an individual over age 17 exceeds half of his/her support, the “kiddie tax” does not apply. The “kiddie tax” refers to the manner in which unearned income is taxed for children. In 2013, the first $1,000 of unearned income is tax free, and second $1,000 is taxed at the child’s marginal tax rate, and any remaining unearned income is taxed at the parents’ marginal tax rate. Once the individual exceeds the age limits, all unearned income is taxed at his/her marginal tax rate. Familiarize yourself with all types of income tax deductions, exemptions, and credits. There are a wide variety available, and you should be aware of any that apply to you. Each has different eligibility criteria, so you need to be familiar with all of them to determine which will work best in your situation. Consider your long-term planning needs. 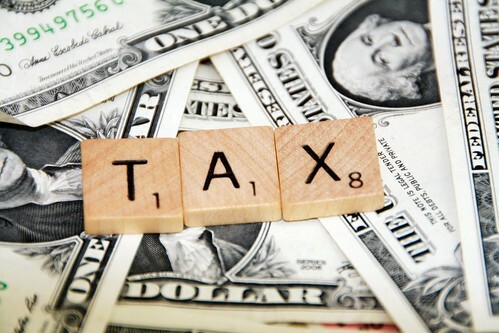 In addition to lowering income taxes for 2013, you also want to find strategies to lower taxes in future years. Thus, it is a good time to review your entire tax situation to see if other changes are warranted. Please call to review your tax situation in more detail.